GREAT CHAT ROOM CREATION: Tumbleweed Bot!!! Hey!! We were just in chat and had this brainstorming idea!!! Check this out... NEW BOT IDEA!! 9:10 dunkelzaCM Nah, what we really need is some more people. Blarney77 but I'm starting to see those tumbleweeds already!! 9:15 Xyphon Look out! Its Tumblezilla! Blarney77 Oh.. That's sick... I love it!! Whiteshark Not a bad idea! Blarney77 okay Xyphon... Document this chat.. we should get credit!! Whiteshark I'll ask Louhi to create one Can someone here draw? slowly spins as it travels!! dunkelzaCM Hehe Well, to be fair, it was Mango that first mentioned tumbleweeds. Okay, great minds getting together in the chat room letting ideas flow.... But I think the idea is good that this is something left behind my disgruntled miners that were chased out of "their" finds and wanted revenge. These things would simply be "non-Aggressive" wanderers that play havoc with mining operations. They wander occasionally dropping mines (of different types??) and get in the way. If you hit one hard enough they break into several smaller "tumbleweedlets"? Each one now drops mines (less damaging?) and they last for a period of time before finally breaking up into nothing themselves... but maybe they do last a while to be much more aggravating. PVP use... shoot one to leave a wall of tumbleweeds in the way of a pursuer? The smaller ones also blow up and do damage if you hit them. 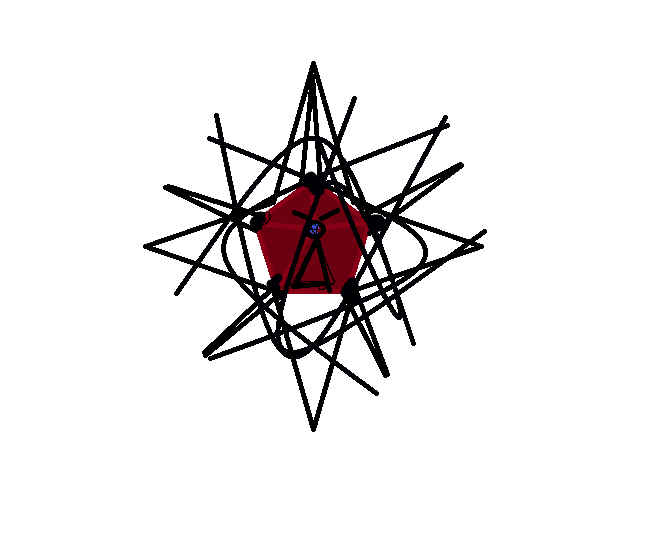 I am envisioning something not so much "mechanical" but crystalline shards, long and thin, in a "ball" of crystals in a random "ball" gyrating and turning slowly as they move, maybe even glinting light off the crystals. The smaller once could be less dense and more jagged. They all drop mines but the smaller ones do minor damage when hit, BUT, they also blow your ship away from the contact point in a random direction, possibly into MORE small Tumbleweeds with a possible "Chain-Reaction" effect that COULD be deadly! I really think this could be a great addition to some areas of the game... maybe a "Mining Hazard"?? Lotta fun on a good PVP map for really creating havoc!! So... WHADDAYATHINK Guys?? Is it something you might want to add to the game?? Blarney77.... former D1/D2 level creator!! http://budwin.net/in...t/d1robots.html Check out the last one - split pod. This could be the mother of those things! Wouldn't it be easier to read if this was on Comic Sans? okay.. Here is MY Idea of the Tumbleweed!! This is just a quick Photoshop creation, but I think it gets the idea across!! Or There is this one with a landscape for effect... What Do You Think?? It should look like a bare bot, with some random pipes bent and bundled into a spiky shield! It sounds good but quasi-invincible. As long as it doesn't take over the gameplay like Thiefbot seemingly dominated areas, it could be fun. If it's like Asteroids and takes too long to clear it from a level, I fear it could feel like purgatory. Unless you are talking about making it just one level dedicated to this enemy.